↑ Longest burning light bulb, Guinness World Records, http://www.guinnessworldrecords.com/world-records/4000/longest-burning-light-bulb . ↑ Benca, Jeanine (February 6, 2011), «Tests shine light on the secret of the Livermore light bulb», Contra Costa Times, http://www.mercurynews.com/ci_17287091?source=most_emailed&nclick_check=1 . 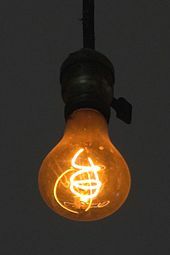 ↑ «The Little Bulb That Could… and Does» (article), VIA, http://www.viamagazine.com/top_stories/articles/lightbulb02.asp, վերցված է January 27, 2007 .